As you would expect from a lighting expo as big as Euroluce, every possible type of luminaire was on display. Taking up four gigantic halls at Salone del Mobile (and even more spaces offsite), the gamut ran from massive, ornate chandeliers to straight-up architectural fixtures, as well as thousands of iterations of the trends currently flooding the market (here’s looking at you, brass, copper, marble, spheres and rings). Plowing the floors for the unexpected was a bit like searching out Waldo at an amusement park, and finding the weird and wonderful among the crowd was a cause for celebration. 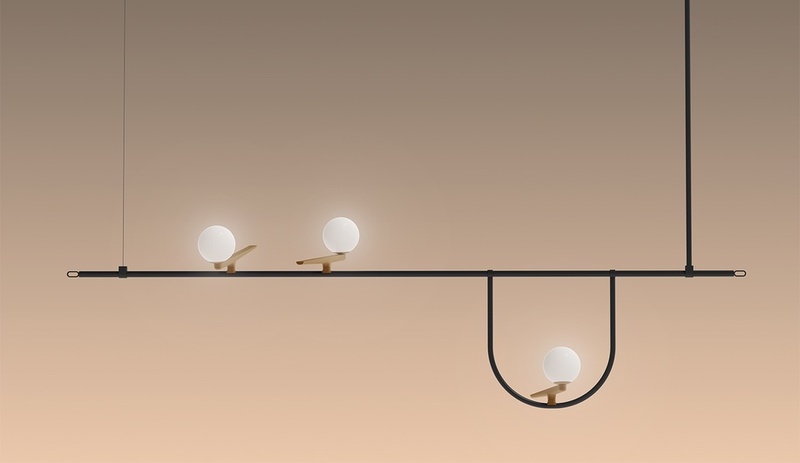 Solid, perfectly round, pure white orbs were everywhere. 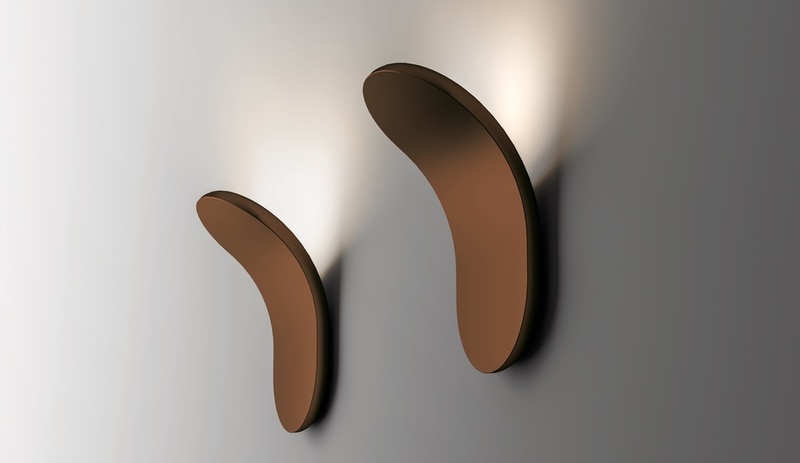 A simple, sophisticated shape, it’s an elegant relief to the boxed-in or caged experiments with LED strips. 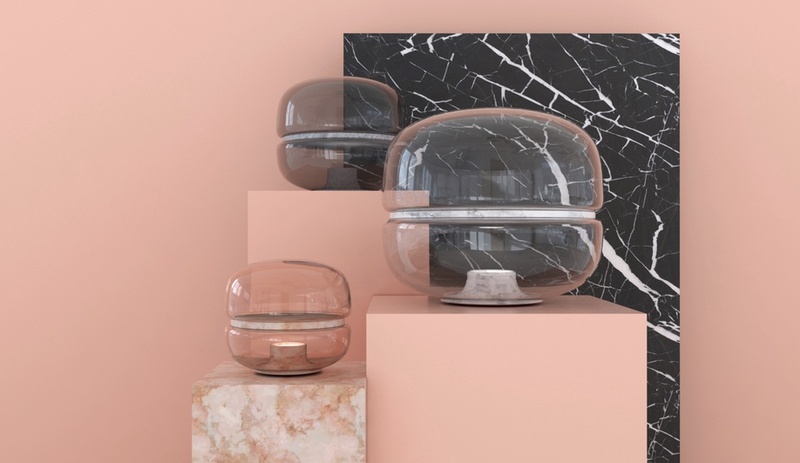 After a while though, they start to look the same and so it was a pleasure to see designers from around the globe riffing on the primary form and salute the trailblazing of Murano artisans. 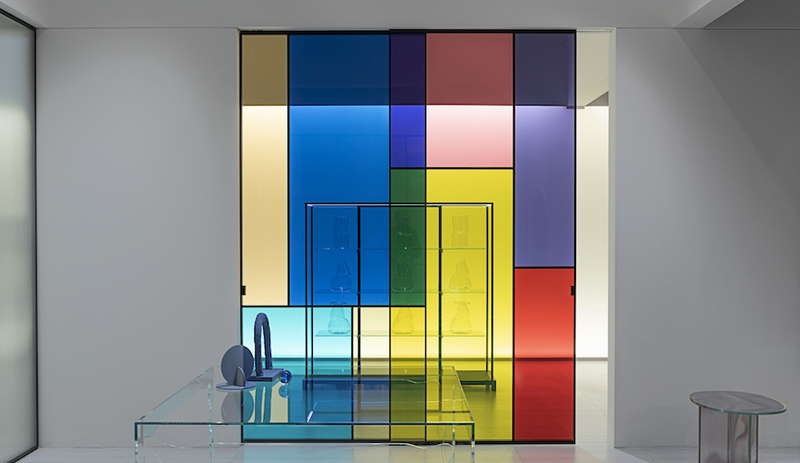 A standout came from the in-house design team at boutique manufacturer Melogranoblu, from Bergamo, Italy. 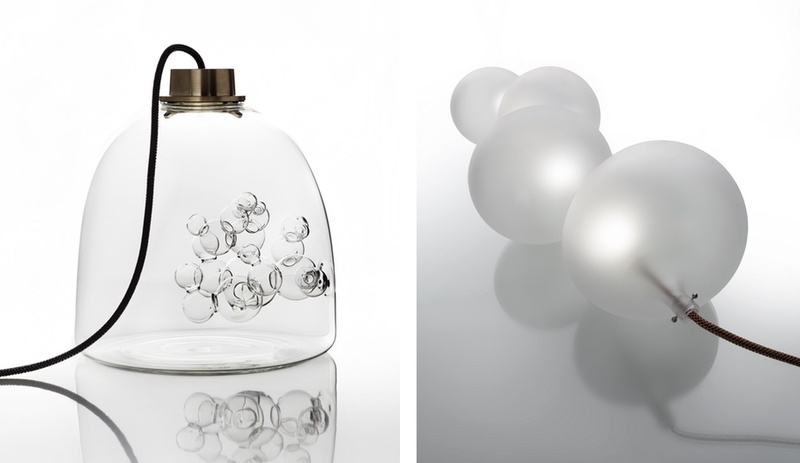 They presented Soap, a pendant featuring interior, mouth-blown bubbles, and Serendipity, an asymmetrical string of conjoined blobs dimmable by gently pinching the copper cord. 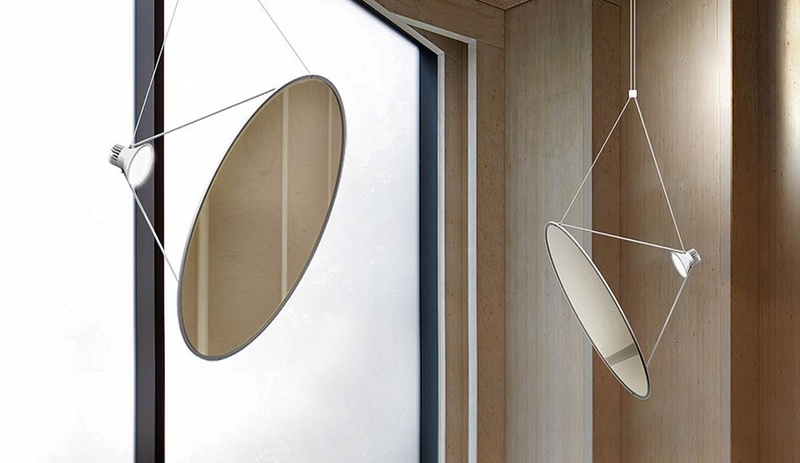 Meanwhile Montreal’s Lambert & Fils, in collaboration with Galerie Armel Soyer, suspended a globe with a trailing, comet-like tail made of laser-cut aluminum. The orb was elevated to skybound wonder. 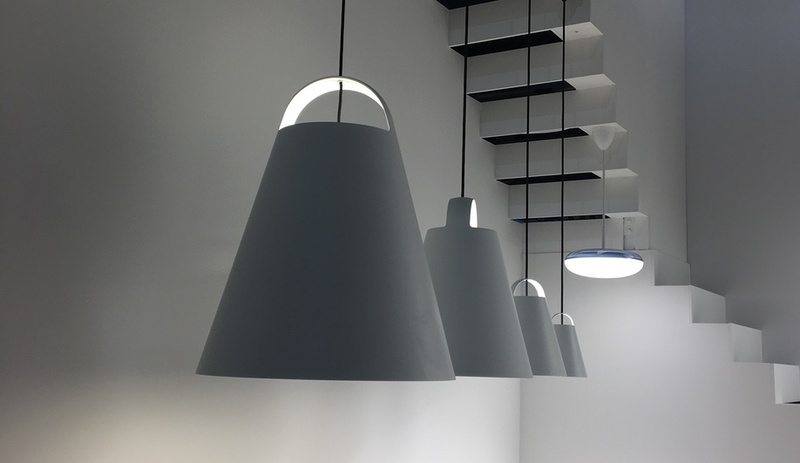 Sun, stars, moons and planets – these shapes are hardly new to lighting design and the big brands all seemed to offer at least one model. 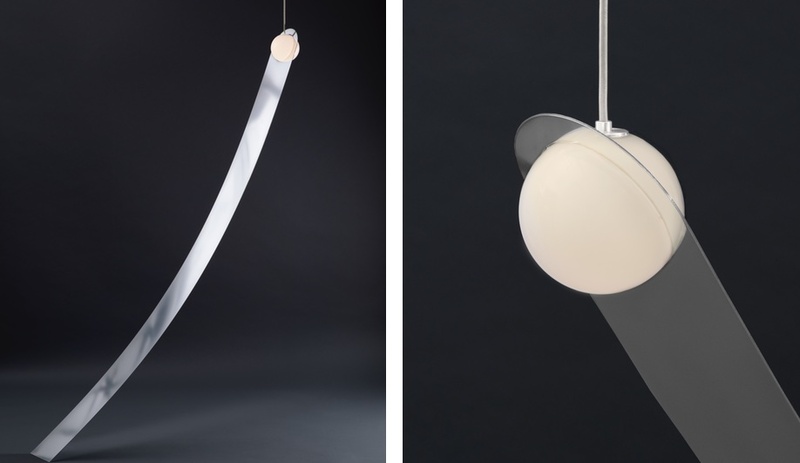 Jean-Marie Massaud’s Orbit for Nemo, a ring of LEDs atop a task light, is a modest take, while Daniel Rybakken’s Amisol for Luceplan, is basically a satellite scaled to fit inside a living room. 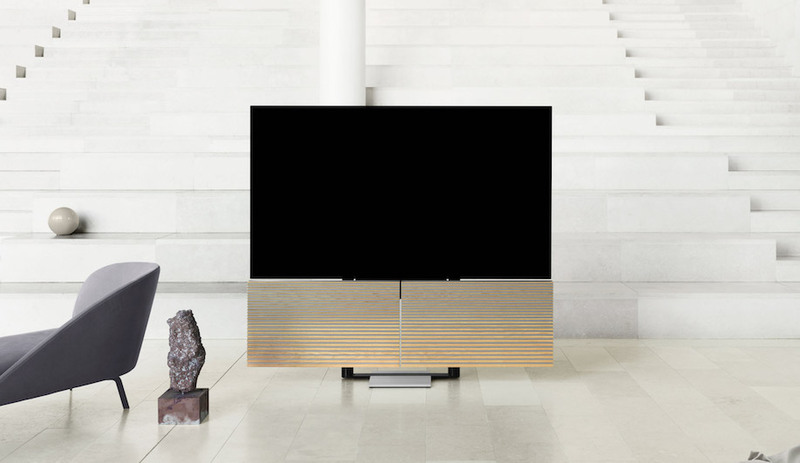 Abundant, yes, but there were a few exciting new options, like FontantaArte’s Heliacal, which nailed three new trends in one design. 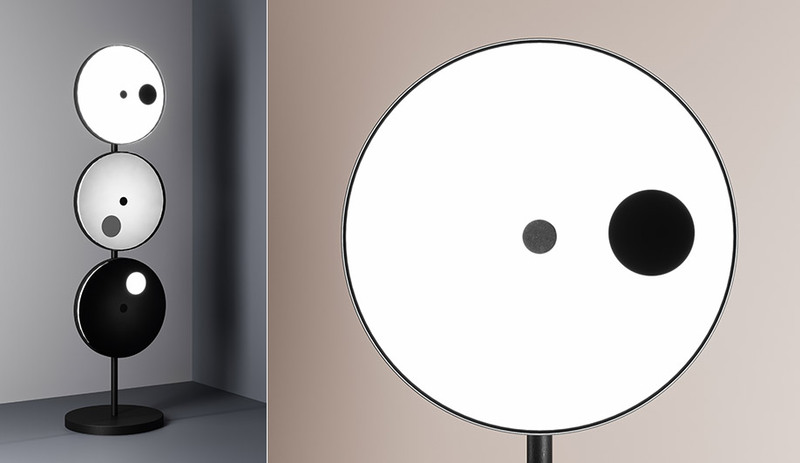 Imagined by Os & Oos, the stacked LED floor lamp is touch-dimmable and when you revolve the dimmer, the lights mimic the phases of the sun and moon. 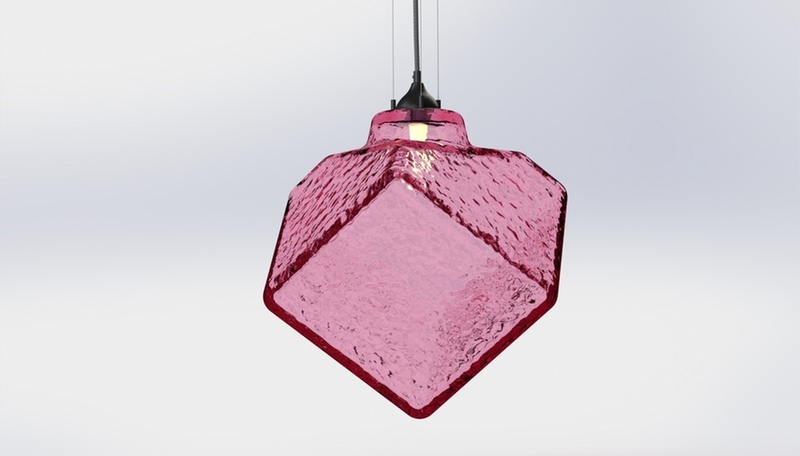 Much of the otherworldy designs experienced at the show are only made possible thanks to technology which removes the bulb completely from the equation. 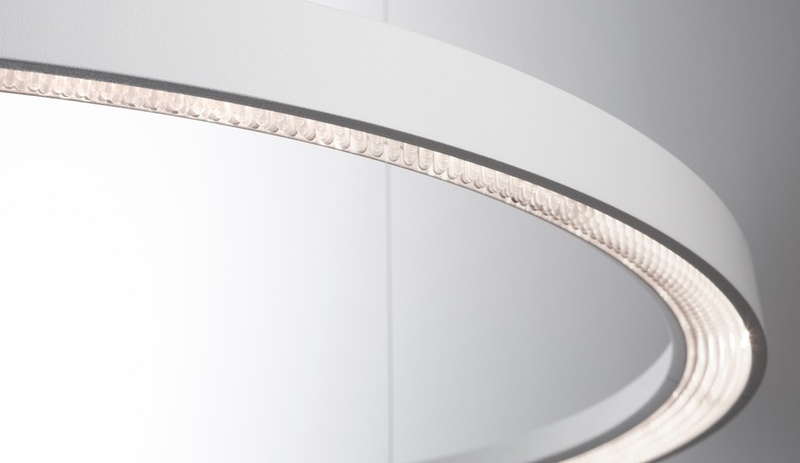 Brilliantly hiding the light source was another fan favourite at Euroluce. 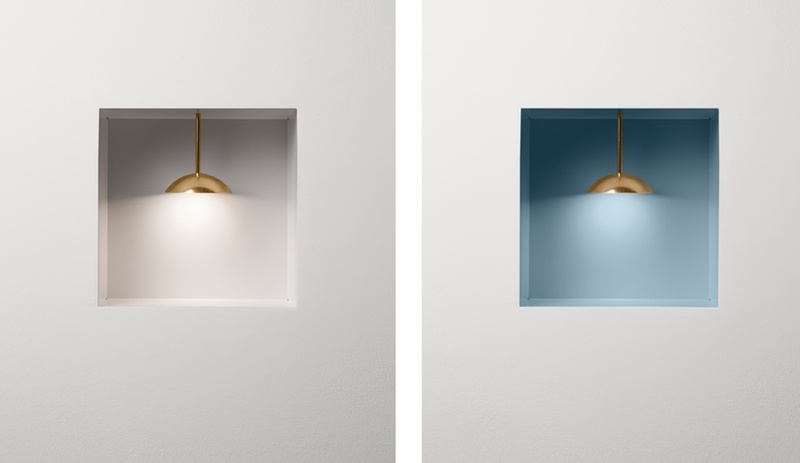 Louis Poulsen has prided itself on this selling point since 1924 and beat competitors again with its oversized, lantern-shaped Above, and its super-slim, transportable Yuh by GamFratesi. And light whisperer Davide Groppi‘s micro-thin filaments, despite spanning huge lengths of ceiling, were barely detectable by the massive crowds that filled his pavilion. 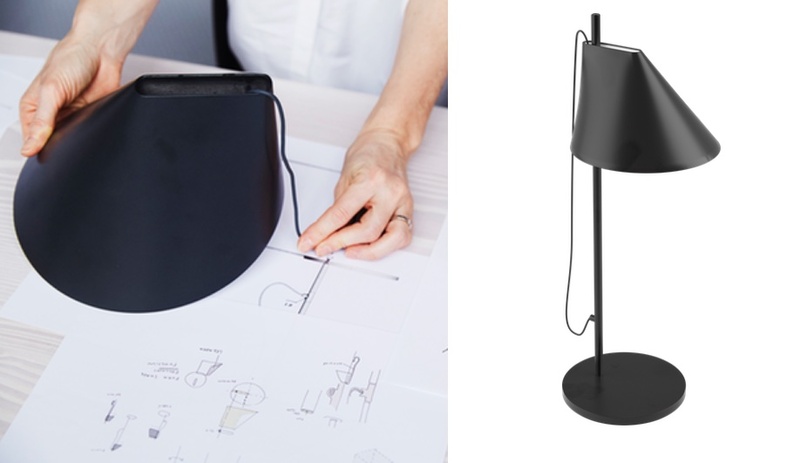 Other designers, freed from playing up the light source, made whoopy with the oft-overlooked secondary parts of a lamp. 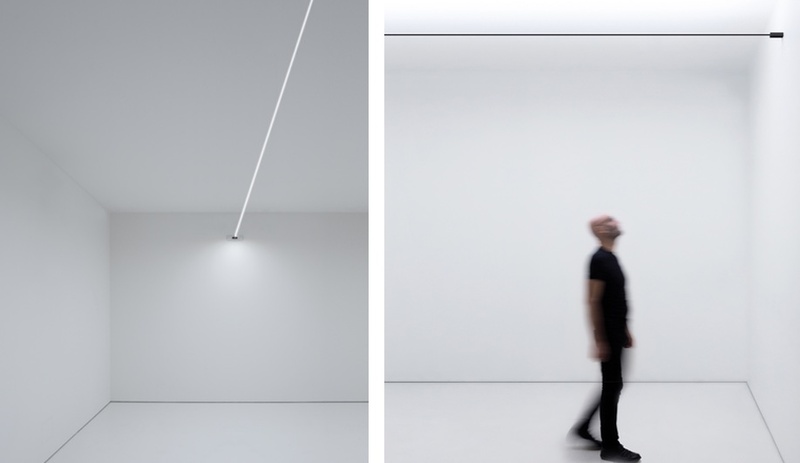 Foscarini covered the cords of its Filo with enough fabric to confuse the new lamps with French perfume bottles, while Vibia’s Wireflow, with its pencil-straight black wires, was free to run criss-cross up walls. 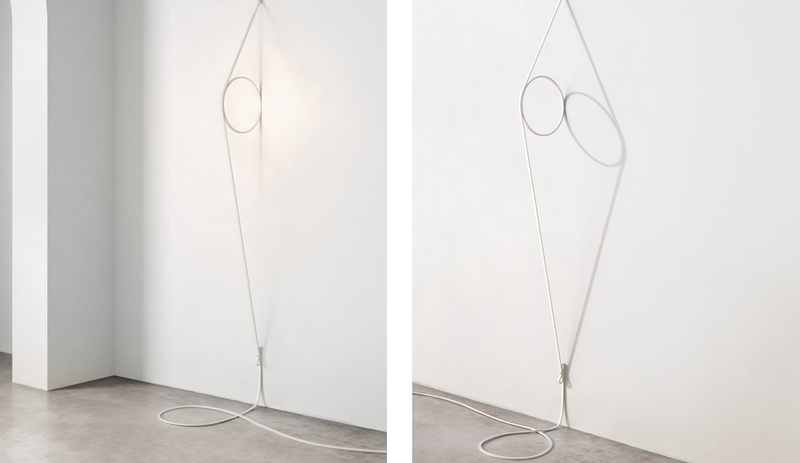 Over at Flos, Formafantasma used a long loop of untreated leather to carry wire and LED, creating a wall sculpture whose long cord was an equal participant of the overall shadow-casting piece. Elsewhere the capabilities of LED technology were shown off. 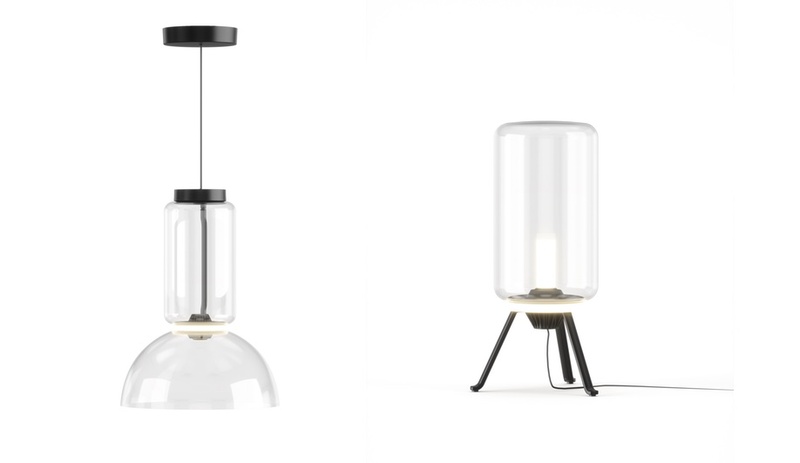 Also presented at Flos, Konstantin Grcic’s Noctambule employed the band of LED to cinch off his family of totemic fixtures, creating hourglass forms in smoked glass. 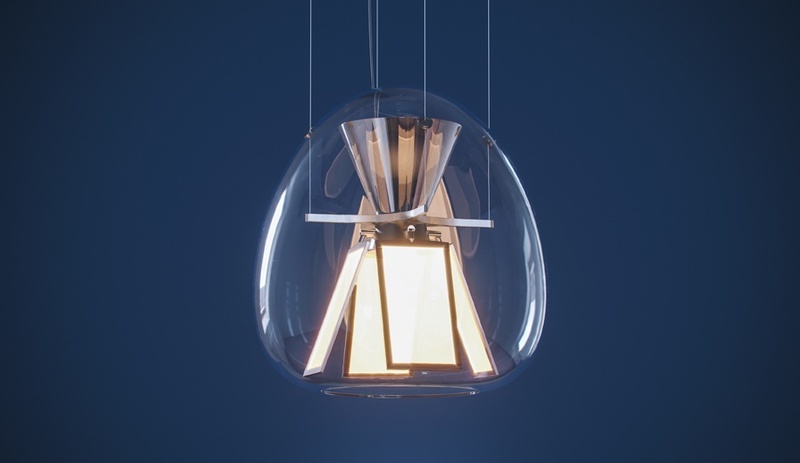 The inner workings of the Harry H pendant by Carlotta de Bevilacqua for Artemide were visible – a teepee of OLED optics, plain to see – and the bulb that illuminates an onyx plate within Brokis’ Macaron considered nothing to hide. 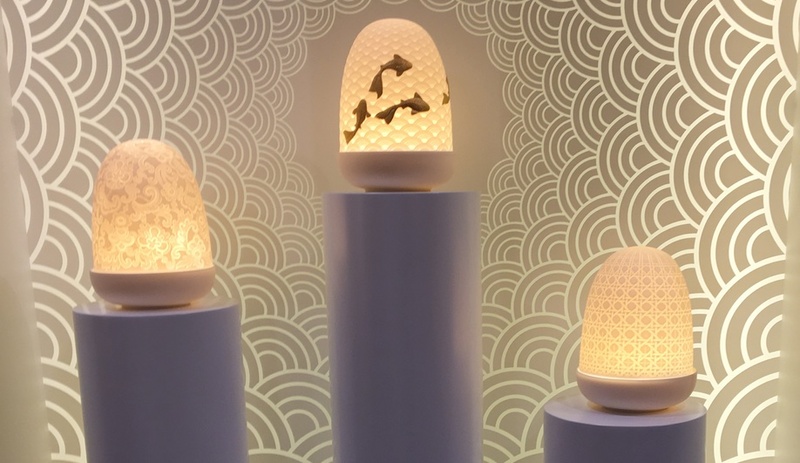 Even Lladro‘s delicate hand-carved porcelain Dome lamps were crafted precisely so that the tiny, egg-shaped tops can be lifted and the hand-dimmable LEDs toyed with. The miniscule was another sweet surprise. 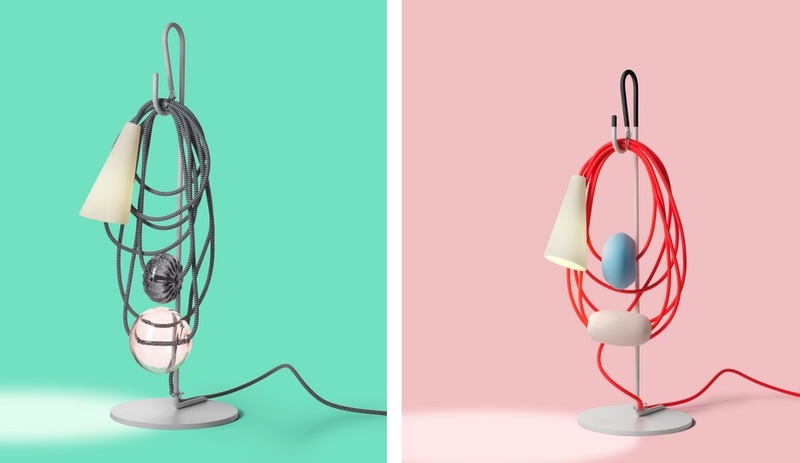 While some manufacturers showed off larger-than-life fixtures and others hung hordes of multiples, there were sightings of Pringle-shaped wall sconces by AXO, wee birds by Neri & Hu for Artemide, small bananas by Studio Job for Seletti and, for Nemo, an architectural implant of sorts by Martino Gamper. 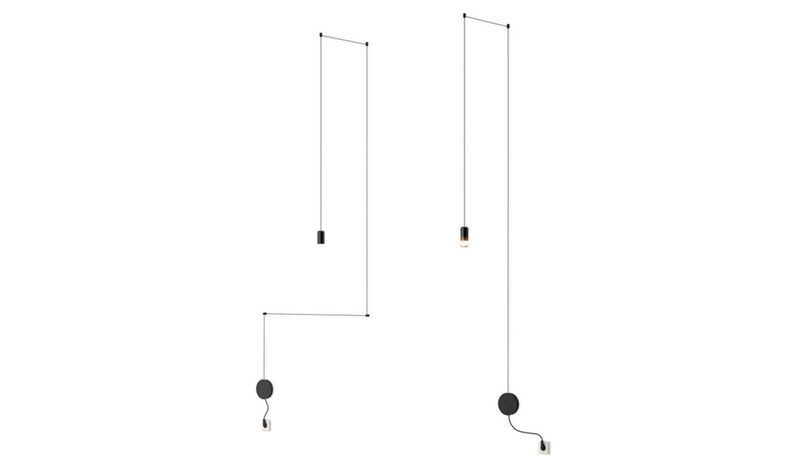 His take on the light box is really an enclave wired with fist-size brass pendants – no stunts, just smarts.